A small, friendly selection of serviced offices with auxiliary storage space to rent in Epping, Essex. The offices, forming part of Brickfield House, were opened in 1999, comprising 35 serviced offices with meeting room facilities, fully staffed Reception and Commnual kitchen. 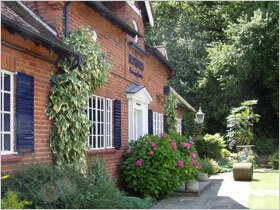 Conveniently located within a quiet forest setting in Epping, Essex, only a few minutes away from the M11 and M25. Epping also has direct Tube access into London on the Central Line. Stansted Airport, the M11/25, North Circular and London are within easy reach.